No obligation and a friendly and helpful response! We are based in Yorkshire and we are happy to work virtually, wherever you are! That's to say we can usually ascertain all we need to know to be able to provide you with our services, by telephone and email. Please complete the form below and let us know how you would like us to help. We will get back to you as soon as you can. Please keep an eye on your SPAM folder just in case our reply finds its way into there. We don't expect you to send us a Christmas card :-) but did you know that it's good protocol to include your business address on your website? It's always difficult trying to price something up when you don't know quite what's going to be involved. That's why we need to find out what you are looking for first. However, we can reassure sure that our pricing is very competitive and to give you a rough idea, our clients typically spend between £100 and £400 with us. 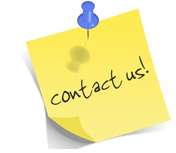 Why not contact us and find out more? Copyright (c) Websites4biz.co.uk. All rights reserved. Based in Yorkshire and happy to work virtually, wherever you are!